When you see these locations driving around town. Please add them to our map below. You can search for these locations as well in red. 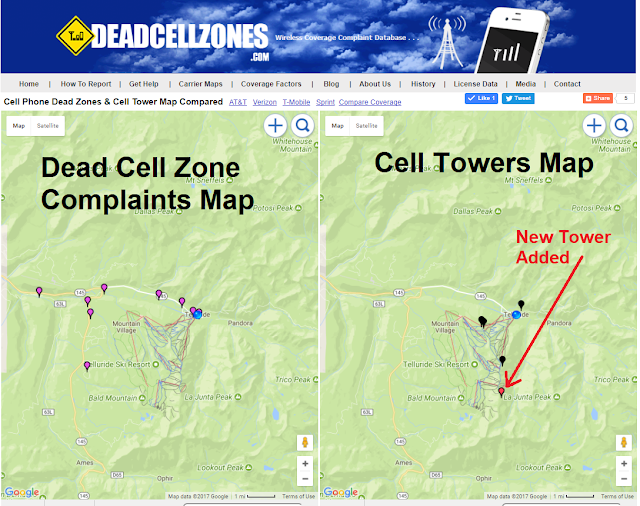 Deadcellzones.com recently launched a new map to compare cell phone tower locations and coverage problems. The map on the left is our traditional dead cell zones map. The map on the right is a database of 170,000+ cell phone tower locations provided by the FCC. If a cell phone tower is not on our map (right side) you can now add it by clicking on the + icon on the upper right corner of the map. 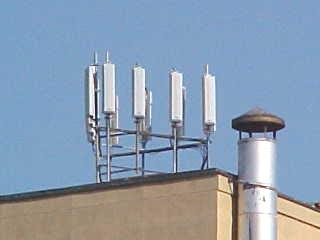 Please add new DAS antennas as well if they are not on the map also. Here is an example of Telluride, Colorado where we discovered a new cell phone tower on top of the mountain that was not included in the data provide by the FCC. We don't know who owns the tower so that information is left off of the map. However, we assume the ski resort of Telluride likely owns the tower since it is located on top of the mountain. What is most shocking is that T-Mobile provides better coverage at 13,000 feet on a hike than they do at 9,500 feet in the town of Telluride. Go figure. When we were on vacation in Telluride, CO during our vacation there was zero coverage in town. There was adequate coverage in the Mountain Village. These two tweets were sent to T-Mobile to alert them of this potential safety hazard. Here is a list of the top 100 cell phone tower operators and owners in our cell phone tower database. Here is an example of how to search for cell phone tower operators. 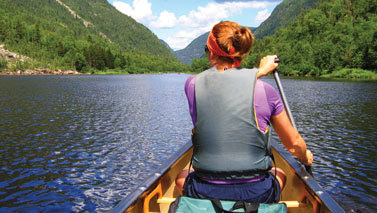 Cell Phone Reception on a Lake? It is amazing how many people are searching to see if they might have cell phone coverage in areas they are vacationing this summer. If you are headed to the lake, mountains or desert it is probably a good idea to see if your destination has cell phone reception. 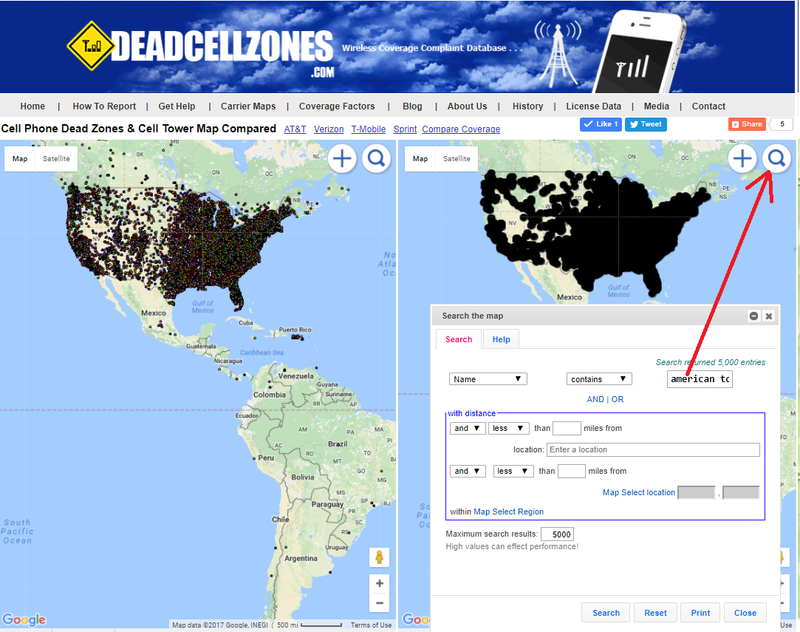 We see daily searches on Deadcellzones.com for locations like Yosemite, Tahoe, Lake Powell, Aspen. We launched a new map recently that will show you cell phone towers in the area as well. 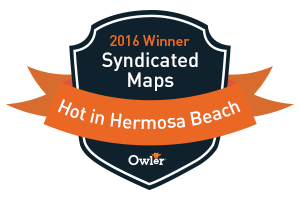 We recommend that you check this map side by side with our dead zones complaint map. This should give you an idea who has coverage in the area or NOT. Do You Have A Cellular Signal Amplifier For Your Vacation? When the iPhone was introduced on June 29, 2007 it gave a whole new meaning to having a strong cellular signal. It’s the product that made a strong cellular signal less of a luxury and more of a necessity. Love it or hate it, the iPhone set the standard for the modern-day smartphone.